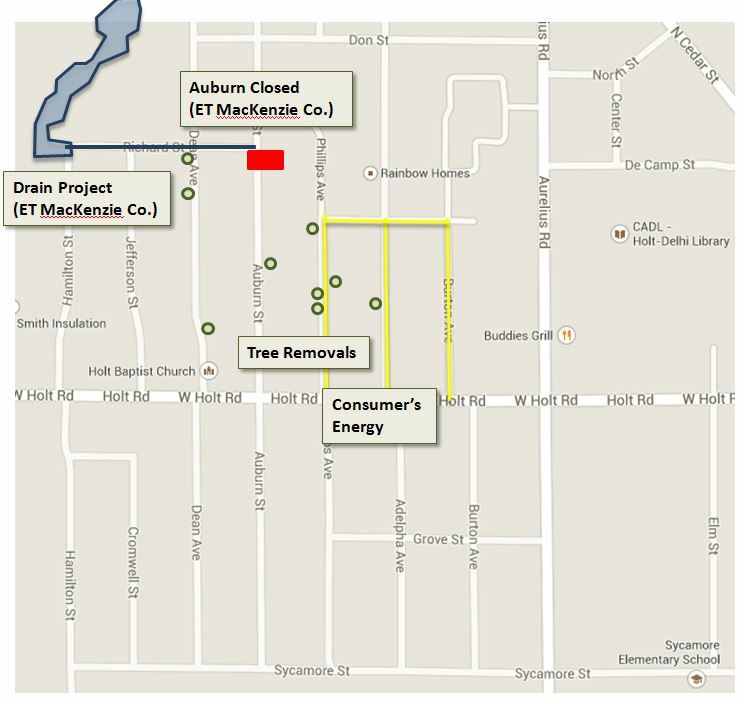 This week the contractor is installing storm sewer pipe down Richard Street. This pipe installation will require the closing of Richard Street to through traffic. Local access will remain open at all times for residents along Richard. Mail delivery will be temporarily relocated to a bank of mailboxes located on the northwest side of the Auburn/Richard intersection. Additionally this week the contractor is performing a boring operation at Auburn St., just south of the Richard St. intersection. This operation will require a large excavation within Auburn St. Consequently Auburn St. will be closed at this location. The work will take a little over a week to complete and the road will remain closed through the weekend and into the beginning of next week. We ask that you remain patient during this process and also keep your distance from the site. Although all construction sites can be dangerous, this work and the area is especially sensitive and only properly trained personnel should enter this location. 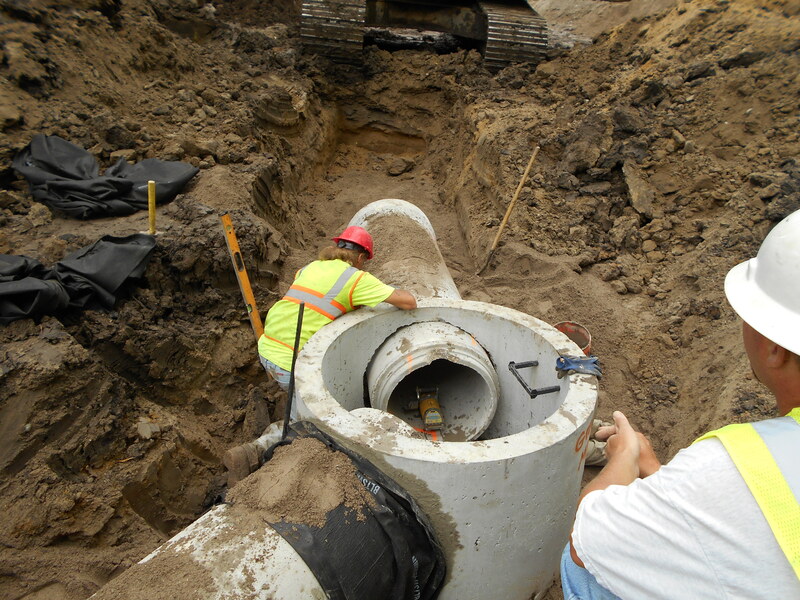 Installation of storm sewer pipe and manhole structures. As with all construction projects this timeframe is subject to weather and any other unforeseen delays. Smith Tree and Landscape will be continuing to remove some remaining trees ahead of the pipe construction. You may see these crews throughout the neighborhood working to stay ahead of the main construction activities. Consumers Energy is wrapping up work on Phillips, Adelpha, Burton, and Kathy Kourt. The remaining work is primarily connecting service leads and performing restoration.